You have dashboards or groups that you would like to keep private? No problem! You can add a password to your dashboards or to groups if you want to. Who: The admin user can configure a password on a dashboard or a group. 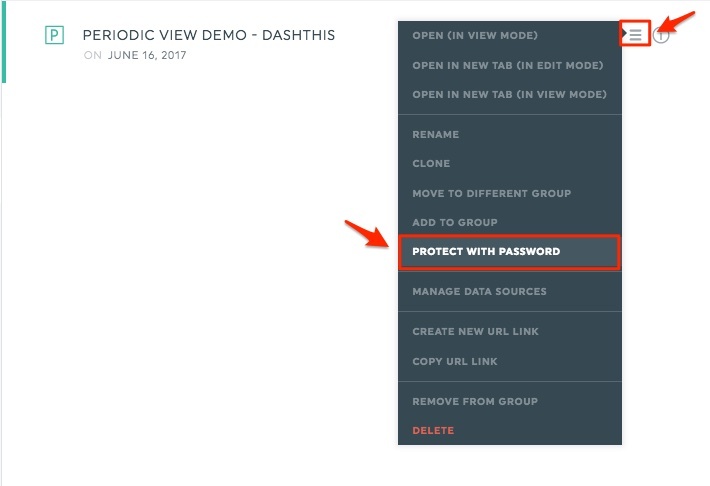 How: Just click on the option Protect with password in the dashboard’s or group’s menu. Check the box Check to add password protection, write your password, and click Save. Once the dashboard or the group is protected with a password, a lock icon appears under the dashboard’s or the group’s name. To modify your password, simply write over the previous one and click Save. 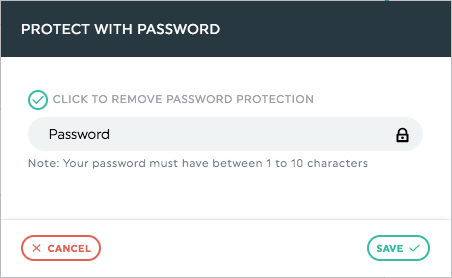 If you want to cancel the password, simply uncheck the box Click to remove password protection and click Save. In the dashboard’s and group’s menus, you’ll find the option Create new URL link. 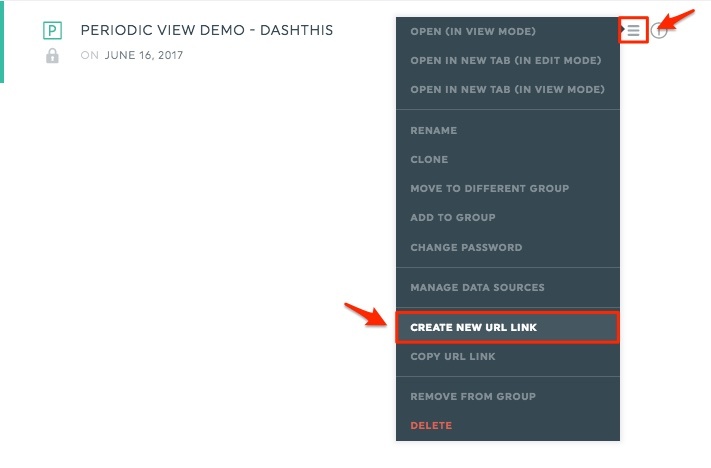 This option allows you to generate a new URL for your dashboard. This is another option if you don’t want to use the lock option. By pressing this button, all previous URL links to your dashboard will be useless.